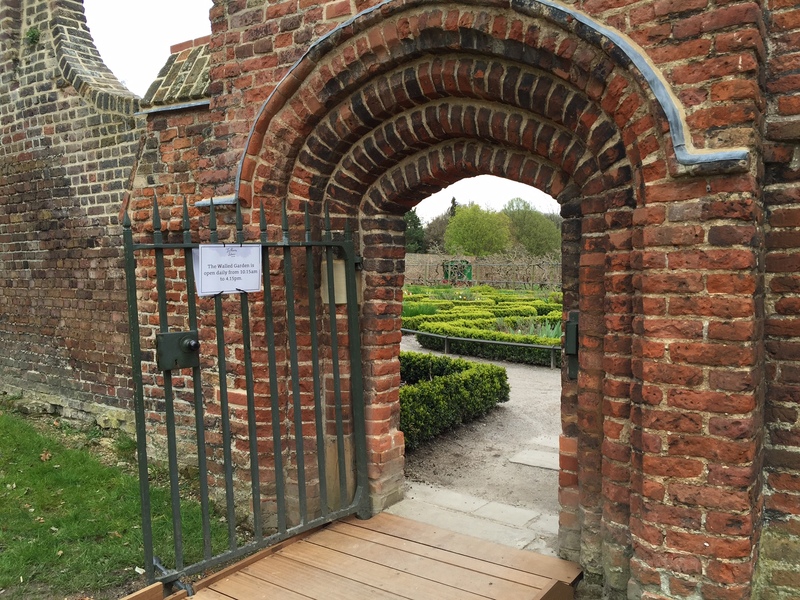 Our very own secret garden at Fulham Palace. I looked around to see if anyone was watching. You particularly need to be careful of the room guides. Hubby had wondered off to look at another formulaic painting by Sir Peter Lely. I was safe. Between the great hall and the Duke of Lauderdale’s bed chamber I’d spotted a small door. ‘Staff only’, it stated. This, I suspected, led to a small servants’ passageway. The door was slightly ajar and a light was shining beyond. I crept into the enclave and pushed the door which squeaked slightly, possibly louder in my own ears. Before I could explore further, a strongly accented, high pitched, Russian voice sounded at my shoulder, “Verrry moooderrrn, I saaiiy!” I nearly jumped out of my skin! Turning around quickly, like a naughty child at the sweetie jar, I found a dyed blonde in a fur collar jacket not 3 inches from me and Hubby looking on, trying to hold back his laughter. Behind the door I’d caught a disappointing glimpse of a ladder, a few fold up wooden chairs, some paint cans and a naked electric light. The halo of the light lingered under my eyelids a little while longer, as did a twinge of guilt. I had a sense of what it might be like to be interrogated. Eek! Curiosity killed the cat, my husband pointed out. Oh how these big houses taunt and tease me! As of Saturday 2nd April Hubby and I became National Trust members. This gets us into a number of museums and historic houses across the UK for free. Image courtesy of food writer, Ren Behan. 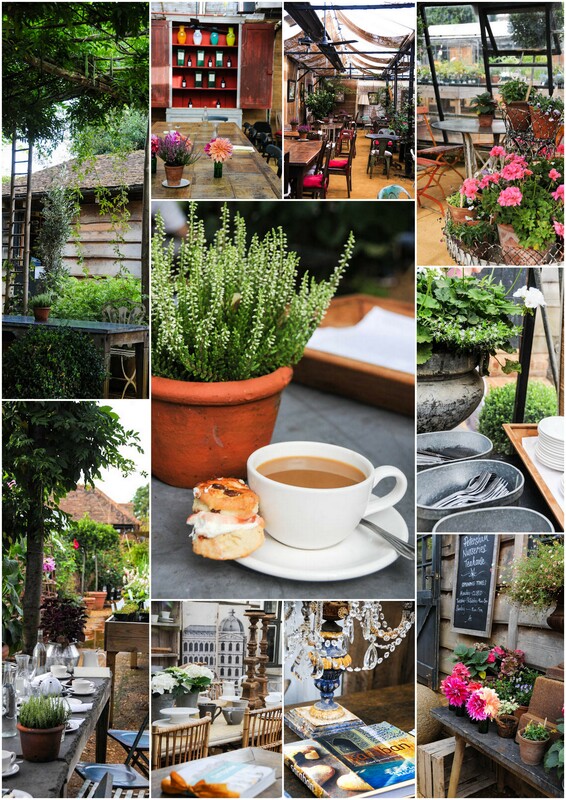 A couple of weeks ago, Hubby and I set out to Petersham Nurseries and tearoom for a coffee and some plant shopping. Petersham Nurseries is nestled along the winding Thames river on farm lands (The Ham Lands) beneath Richmond Hill. It’s technically in Surrey, but really very close by, in the Greater London South West, next to Richmond Park. It’s easy to miss the narrow ally off Petersham Road if you’re not careful. This leads to a cafe, teahouse and shop all in the beautiful, shabby-chic, leafy surrounds of a nursery – the cafe protected from the elements in glass greenhouses. I was looking for lobelia for my hanging basket, but first we sat down for a cuppa and a chat – it was a perfect spring day. The cuppa at Petersham Nurseries led to a walk in the spring sunshine, along the bank of the Thames. We have recently acquired Runtastic fitness bracelets and have step goals to meet every day. The bracelet buzzes you – more like a slight electric shock – when you’ve been sitting still for 30 minutes, so we were bound to get moving. Flowers purchased (not Lobelia, but Bacopa and Geranium instead), we went on to walk for a few miles, dropping into Ham House on the way. Ham House is a National Trust historic house situated along the Thames at Richmond. According to the brochure it claims to be “unique in Europe as the most complete survival of 17th century fashion and power”. Ham House is not to be missed if you’re into this kind of thing – History, art, architecture. In 1626 Ham House was leased to William Murray, close childhood friend and Whipping Boy to Charles I.
Whipping boys were established during the monarchies of the 16th &17th centuries. The divine right of kings stated that kings were appointed by God, and implied that no one but the king was worthy of punishing the prince. The king was rarely around to punish his son and tutors found it extremely difficult to enforce discipline. A whipping boy was a young boy, generally of high status, assigned to a young prince. He grew up with him, was educated with him, and was punished instead when the prince misbehaved. Growing up together, the strong bond that developed between a prince and his whipping boy dramatically increased the effectiveness of using a whipping boy as a form of punishment – seeing a friend being beaten for something that he had done wrong would likely keep the young Prince Charles in line. William Murray was the last whipping boy, and for his stripes, he got Ham House. An English Heritage site. Luckily we still hold English Heritage membership for a little while longer because the entrance fee for this one was rather dear! Audley End House, Essex, is a fair drive north east of London near the historic Anglo Saxon towns of Ugley and Stansted Mountfitchet, in the district of Uttlesford. Don’t you just love funny English place names?! Audley End was the site of Walden Abbey, a Benedictine monastery granted to the Lord Chancellor Sir Thomas Audley in 1538 by Henry VIII. The abbey was converted into a domestic house for him, but was later demolished by his grandson, Thomas Howard (Lord Treasurer to James I), and a much grander mansion was built with embezzled money. In the light of the Mossack Fonseca scandal, I love how candidly the embezzlement story was told to us by the room guide in the library. For me, the library itself was a treasure trove – ancient books wall to wall, original editions and leather-bound tomes. According to the helpful room guide, having a library was fashionable and Audley End House had three libraries at one time. They didn’t really read for pleasure in those days, she told me, but to study. All eight children were home schooled in the house with a tutor and a full time resident librarian! She had far more secrets to tell me, but I had to catch up with my in-laws and Hubby, who had wondered off into the next rooms. Another highlight was the nursery where the eight children lived, slept, studied, ate and played with their wooden Noah’s Ark set – full of character and atmosphere. During WW II the nursery was used by the Army for the Polish Special Ops. It’s recently been restored and it’s the cosiest part of a rather chilly house. The wonderful thing about both Ham House and Audley End House is that they give somewhat of a glimpse into the lives of the servants. You can visit a dairy, kitchen, laundry, vinery and journeymen’s bothy in the outside wings and gardens of Audley End. Underneath Ham House you can explore the kitchen, mess room, brewery and wine cellar and various secret passages and staircases leading off in different directions. Sadly most of the loft room doors, floor hatches, spiral staircases and jib doors in both houses are barred or locked – I jiggled handles and peeked through key holes, but alas. Perhaps all I’d find beyond those locked doors would be mops and brooms, but I still half wonder about the boy with a crooked back in The Secret Garden, or the wailing insane first wife of Edward Rochester in Jane Eyre. Though we decided years ago that curiosity would be one of our ‘marriage values’, I think my mostly grown-up husband was a little embarrassed. P.s. Londoners have emerged from hibernation. People are running and walking and cycling and pregnant tummys abound! P.p.s. The following were filmed at Ham House: The Young Victoria with Emily Blunt (2009); Never Let Me Go with Carey Mulligan (2010), Sense and Sensibility with Hattie Morahan (2008 TV miniseries); Joe Wright’s Anna Karenina (2012) and many more. P.p.p.s. I blame my curiosity gene on my father who, on his honeymoon, drove (in my parents’ Volkswagen beetle) down a ‘no entry’ road, in Etosha Pan National Park and got stuck in a sand dune. P.p.p.p.s. We actually have a Dictionary of English place names in the door of our car. Yes, we are that sad! 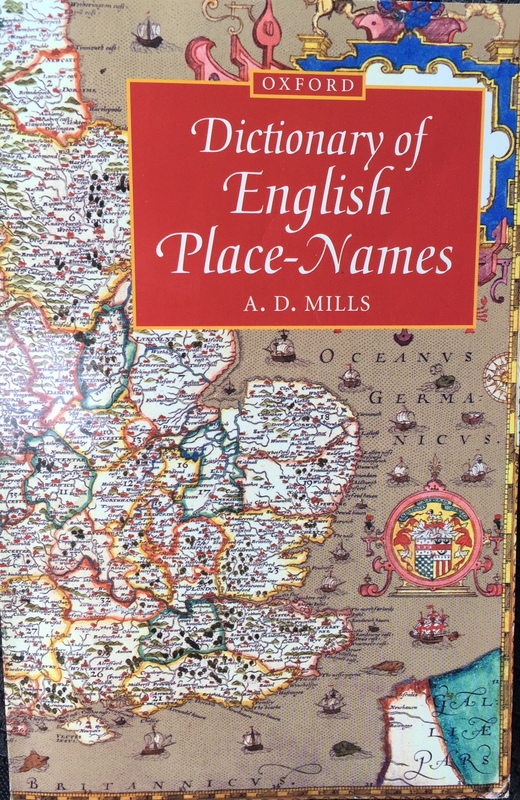 Makes for fascinating reading actually, and gives excellent explanations for some rather dodgy place names, like Upper Dicker! I love this article.Reminds me of lovely walks along the riverfront from Twickenham to Richmond passing the ferry that takes you across from the Marble Hill House side over to Ham House and the spectacular view .We have a wealth of historical buildings in London that are a must for exploration. My former French teacher used to say that curiosity killed the cat but familiarity made him fat! P.s. I like your pattern of multiple post script notes! Love your writing, my sweet Nyami! Have a wonderful spring day today! And enjoy planning that next outing! Talk about Nostalgia!! Just love those beautiful old houses!! And feeling sad that I won’t get to do any of that kind of thing this trip. How do you find suitable book quoted for your blogs? Do you choose a quote then write or write then find a quote? And surely you do not know them all yourself??!! I’m a quote collector by nature so I write down or copy good book quotes whenever I read – I’ve done this all my reading life. Secondly, I’ve also always connected my life with stories in novels, TV and film and never really known what to do with that quirk until I began blogging! Every blog is a birthing process and my biggest critic and fan is Hubby… I’m learning to be open to constructive criticism without it affecting my wellbeing – God is teaching me to be teachable. If I learn about a new writing style or trick or word, I try to incorporate it in the next blog. For example, I am learning in my BCJ course to start ‘in media res’ (lit: in the middle of things) so for this one, I began with a part of the story when I was already in the House. I think it worked. BUT! I have just one rule about the quotes. I only quote from novels I’ve actually read. The formula – quote, anecdote, post script remains fairly static. I loved reading this article too for two reasons. Firstly, it’s beautifully written and the English language is used well. Secondly, country houses and estates are a great interest of mine and I have, in the past, enjoyed visiting NT properties over the years. I know Ham House well (did you run into Seana Haughey during your visit?). I have not visited ‘Audley End’ but would love to one day. Make the most of your new NT membership. Personally, there’s nothing more enjoyable than a freshly baked slice of trust Victoria Sponge with a cup of well-brewed English tea!